I bought this yellow sweater some years ago, but with Isabel Marent bringing sports to the catwalk this season, it’s back in trend. I love to pimp up outfits with scarves. The one I am wearing in the picture was a holiday souvenir from Argentina. 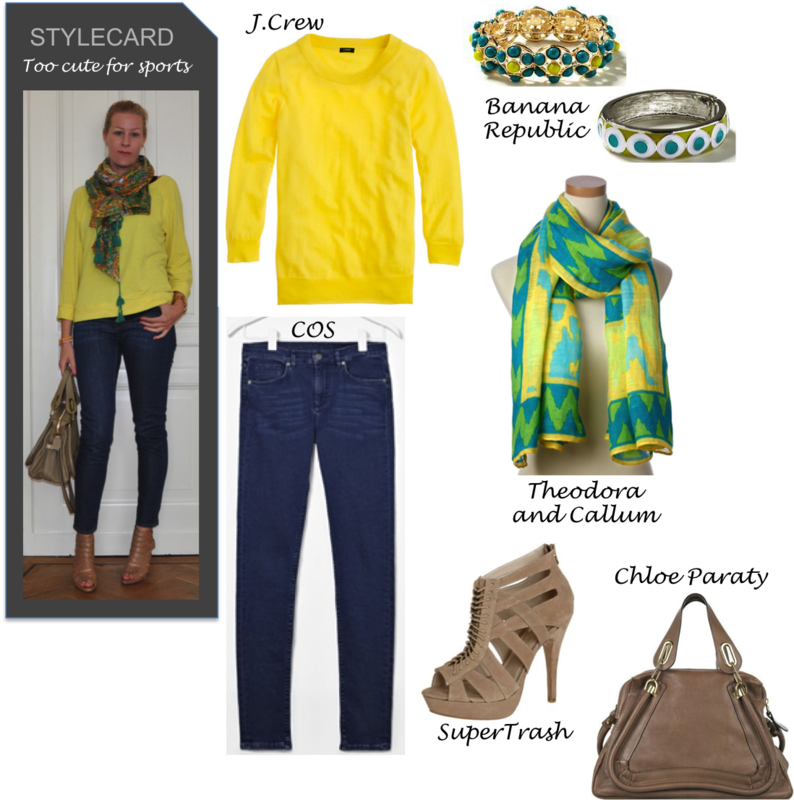 This entry was posted in Fashion and tagged Isabel Marent, Stylecard, yellow sweater by sofischoice. Bookmark the permalink.